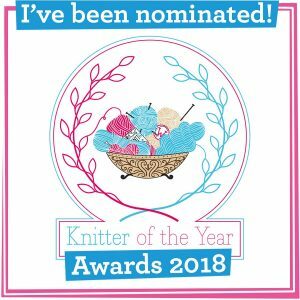 Having played about with washable yarns recently I felt the need to get a bit sheepy and went stash-diving for a breed specific yarn. The first thing I happened upon was some Jacobs yarn, which I bought from Laal Bear’s etsy shop. Closely related to an ancient, Middle Eastern breed of sheep, the breed was established in the Uk in the 17th century. Generally piebald, the small sheep can have up to six magnificent horns! The wool that I have is grey and I believe that colours in the fleeces are are separated and blended. I do have some natural coloured Jacobs in my stash, but for now it is evading me. 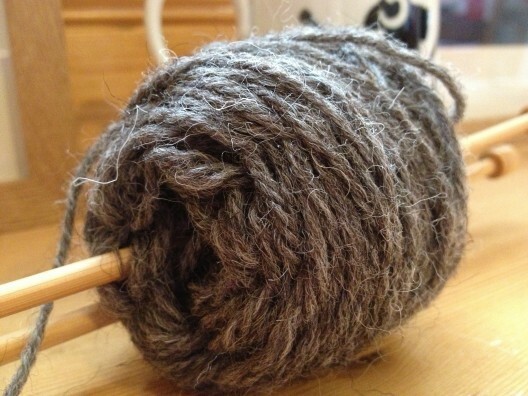 The wool has a medium soft handle and although there are no coarse outer hairs, there is a little kemp in the wool. When knitting with the wool these longer white hairs come loose and shed a little. It gives the working wool a very fine, soft, gritty feeling – which is not coarse, nor unpleasant, but those with aversion to shedding yarns may wish to avoid. I have heard that spinners like Jacobs as it is an open fleece and easy to draw, making it a great fibre for beginners to spin. I actually have some raw BFL and Jacobs to spin, but I have to admit that it smells very strong and I would need to give it a good airing first! 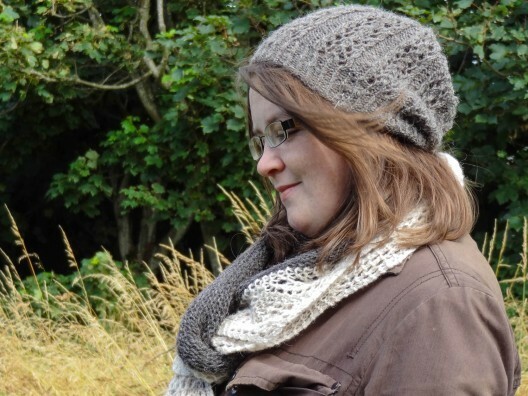 But knitting gauge-slash-lack of definition howlers aside, it is still a perfectly functioning hat. There is a definite whisper of lustre on the Jacobs wool and I really like the texture of the longer white hairs that wisp throughout the knitted fabric. To be honest I haven’t seen Jacobs used in lots of designs; I wonder if that kemp makes it seem coarser than it actually is? 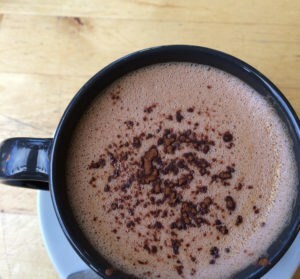 I would definitely like to experiment with it more. I think it would be great for outerwear and I think with that slight lustre gansey patterns might be lovely in this breed yarn. While getting lost on Pinterest I saw some lovely work with handspun Jacobs. Remember what I said about separating the colours? Well, how magnificent is this? A work of art and such a lot of dedication has gone into making it. Do click on the picture and read about how the piece was made. 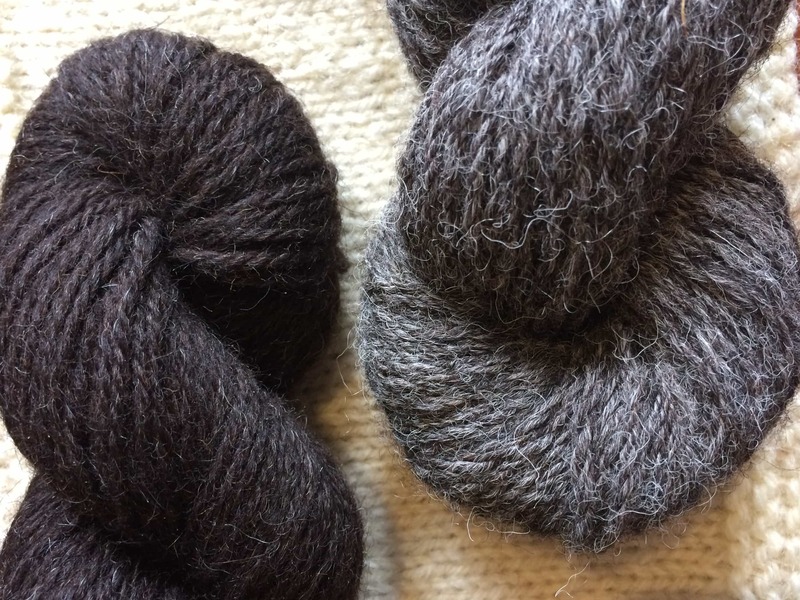 If you are interested in trying your hand at knitting with Jacobs wool you can find yarn in shades from creams, browns, grays and blacks and yarn is priced around the £5 mark for 50g. 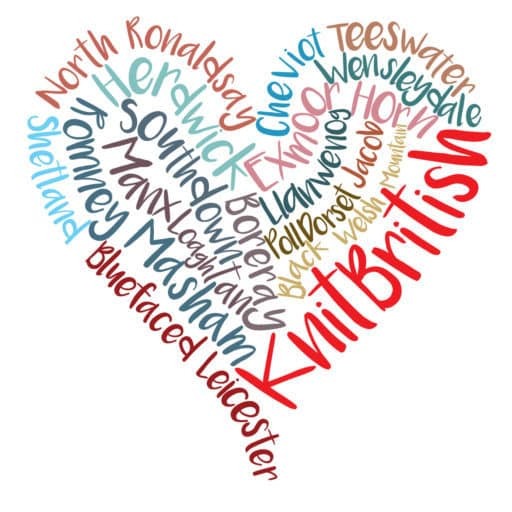 You can find yarns at West Yorkshire Spinners, Blacker yarns and Sheepfold, to name but a mere few! 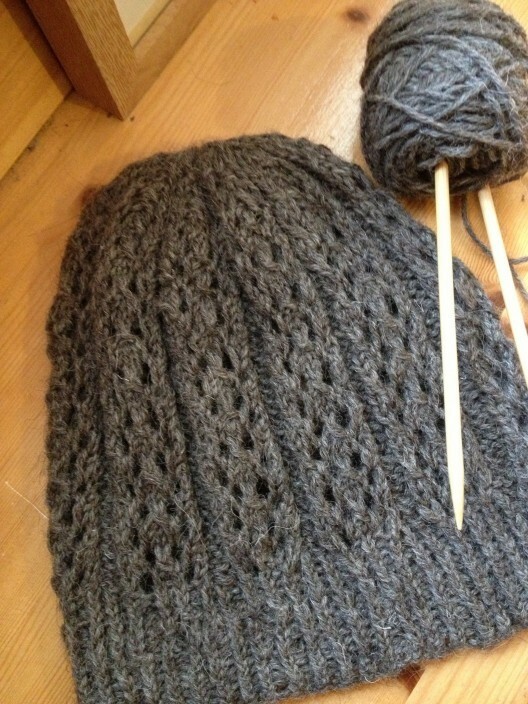 I’ve just been adding some Jacobs in a dark brown as a contrasting border to a shawl. I’m still not sure about using it as it is much coarser than the yarn used for the body of the shawl (Rowan Fine Art sock) but the colour is so lovely and rustic and the weight completely matches the Rowan. 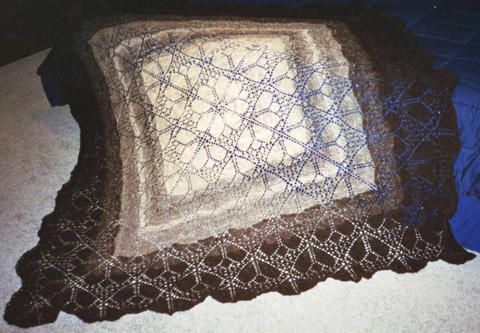 I’ll wait and see how it blocks and washes and takes the lace pattern but I’m optomistic that it will turn out well. I think it looks lovely in your hat. Does it itch at all?